Metro Dermatology is a network of dermatology clinics based in New York. They have eight providers and more than sixty employees over four different locations. They provide services for medical and cosmetic treatments for all kinds of skin conditions. Each of their offices sees 200-600 patients per week. Cleo EHR (product name) should replace the client's legacy system which lacked the flexibility to support the client's vision for growth strategy. The new EHR should be optimized for efficiency and provide complete control over the system to the client. Providers, nurses, front desk, and billers, all want to add new features to the system and make regular improvements. It should be possible to incorporate changes to the new EHR software without delays. A small team of two software engineers and one QA engineer have developed and implemented the above-described software, and it took only 14 months. The success and speed of the development were supported by the FHIR standard and Aidbox FHIR backend. You can hear our client’s presentation about Cleo EHR development. We completed a value-stream mapping and started building a process from scratch to ensure that non-value added activities are left out of the process. 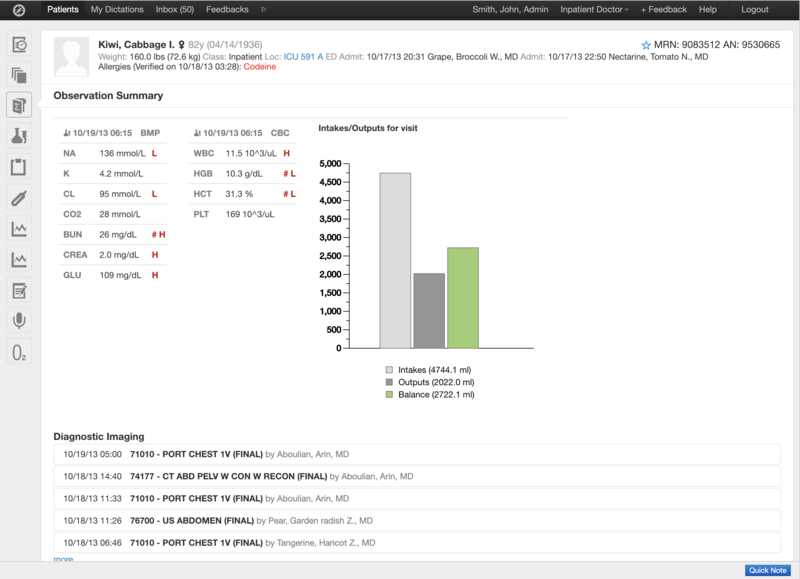 We began to develop EHR system from small independent modules that brought immediate benefits to the practice. Metro Dermatology is a popular practice, and some of their appointments are scheduled two to three weeks in advance. After two weeks many patients forgot about their appointments and to keep the no-show rate low the practice's staff had to call and confirm appointments with the patients. We started with a small pragmatic task to reduce staff involvement in appointment confirmation. SMS-notification module reminds patients about their upcoming appointments in a language of their preference. 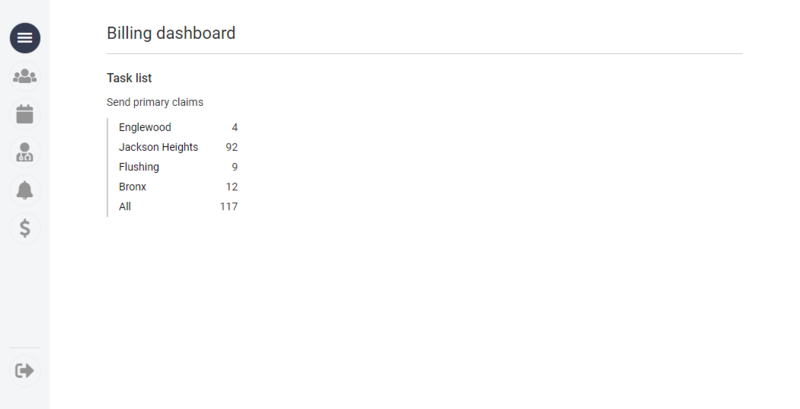 We pulled information about their preferred language from the EHR and have already supported seven different languages. The system not only sends notifications but also receives patient responses so that they can reschedule an appointment if needed. 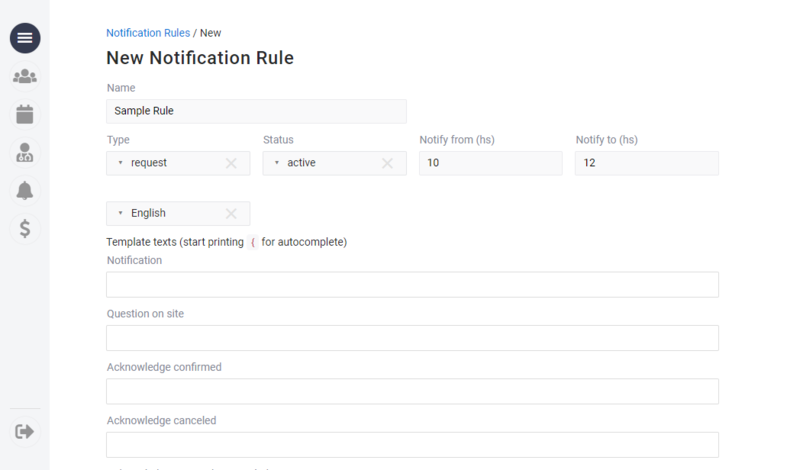 The module provides custom rules for configuration of notifications. 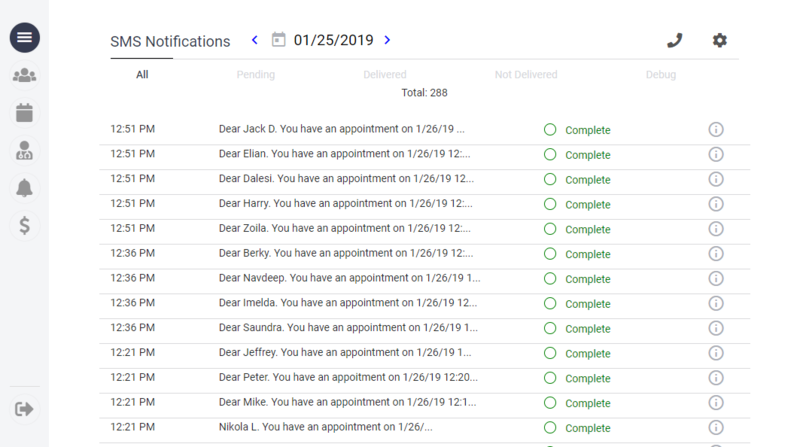 After the implementation of an automated appointment reminder system, patients do not forget about their appointments, the practice's no-show rate is low, and the practice's staff spends less time on appointment confirmation. The work of the front desk staff is directly related to the billing process, and any malfunctions on their side affect the revenue cycle. Our next goal was to eliminate time-consuming manual work for front desk workers. The legacy front-desk system had a confusing workflow that took extra time & efforts from employees. We replaced it with a task-based system where each task corresponds to one workflow step. We developed an online coverage verification submodule and integrated it into the system workflow. It performs eligibility check and provides immediate coverage information update to the front desk. The new process has reduced patient check-in procedure from fifteen to three minutes and increased the throughput. 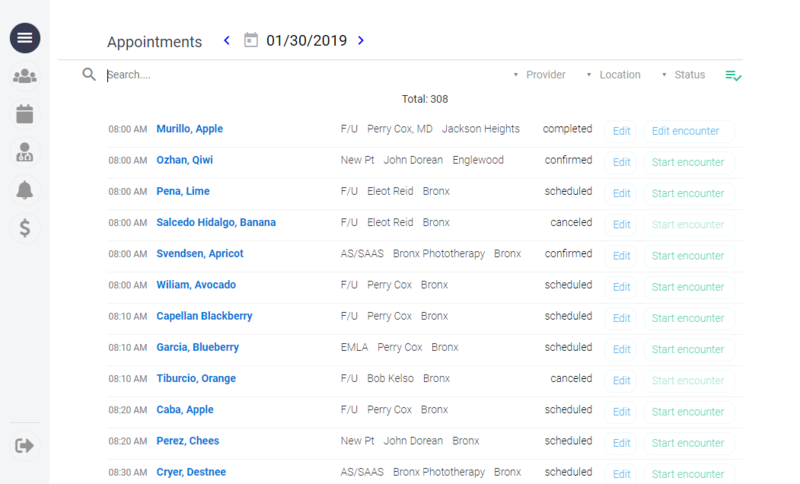 We built a new billing module to process claims and invoice/collect payments from individual patients. Now billers are focused on working with insurers' responses to the claims instead of looking for missing fields and checking claims for compliance. 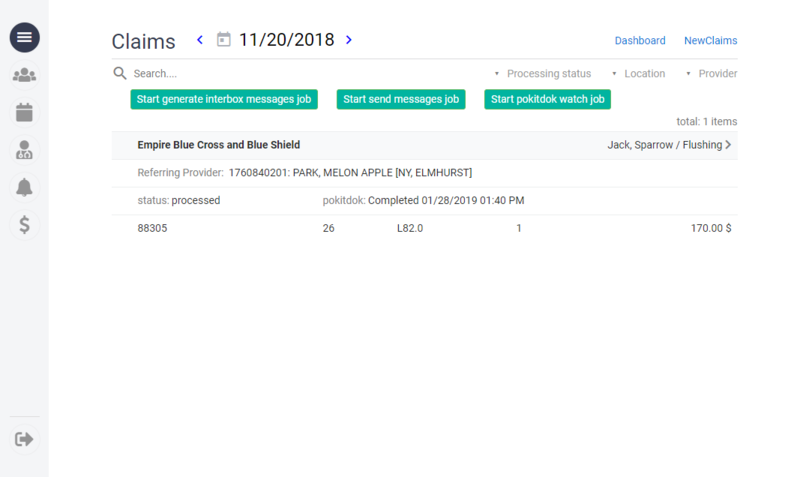 The claims processing submodule is a special dashboard with the several screens where billers can see their tasks, results of technical claims validation and track claims statuses. They can immediately correct and resubmit claims in one click. There is a compliance check that alerts billers if any required information is missing or billing codes/modifiers are incorrect based on the patient history and previous claims submissions. As a part of billing automation, we developed a module for online payment collection. The module integrates Stripe for providing various payment options. Dermatology EHR module is coming next! We’ll add an update about our progress soon.